2. Do something nice for someone else – Getting out of your own head and helping someone else can take your focus off of your own issues for a bit. Animal shelters, women’s shelters, community assistance organizations, food pantries, and other non-profits need resources year-round but especially look for help during the holidays. Maybe you’re not up to full-blown volunteering, but gathering up food and bedding for homeless pups or toiletries for women in crisis can give you an emotional boost. 3. Focus on what is comforting – Even if you wish the holidays would just go away, there is a good chance that something about the season isn’t completely terrible. Narrow your attention and just focus on aspects of the holidays that you can manage. Maybe shopping and Christmas music makes you want to crawl in a hole but baking your grandma’s cookie recipe is a comfort. Then bake the cookies and forget the rest. 4. 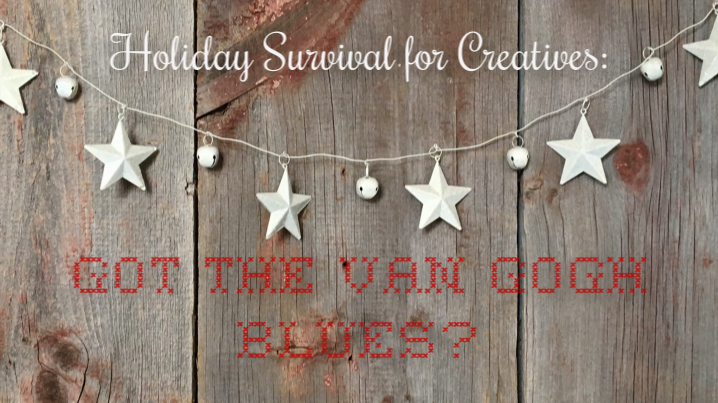 Get some help – Over the years, the holiday season for me has been a time for medication tinkering. I guess nothing reveals “my meds are no longer working” better than jingle bells and gingerbread lattes. If you are struggling, don’t go through it alone. Ask for help, make a doctor’s appointment, let a friend or family member know what’s up. The traditions of Christmahannukwanzadan are not nearly as important as your well-being.